To provide admissions in Diploma/Post Diploma Courses, Directorate of Technical Education, Tamilnadu (TNDTE) conducts an Undergraduate Entrance Exam Tamil Nadu Polytechnic 2019. The name of the examination is Tamilnadu Diploma Admission. The candidates who have completed or pursuing diploma can also apply. There are some Government and Government-aided that offer courses in various engineering courses. 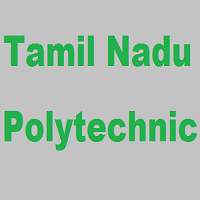 Read all the important information about Tamil Nadu Polytechnic 2019 in the article below. There are 464 Polytechnics in the state offering diploma and post diploma and certificate courses in Engineering and Technology. There are 10 institutes that offer three-year Diploma course of Catering Technology and Hotel Management. Under the lateral entry system in all Polytechnic courses, the HSC/ 10th class + ITI (2years) student can straightaway take admission. Firstly, the application form is available online and offline both. Candidate can download the form from the official website and they can submit it with the DD, after filling it. The candidates can collect the forms from the specified centers in the case of offline application, fill them and post it to the specified address. The candidates must put up a self-addressed envelope with a Rs 15 stamp attached to it, if sent through the post. The minimum age required is 15years. The candidate must have passed class 10th examination from a government recognized board. The General candidates need to pay an amount of Rs. 150. No application fee for the SC/ST candidates. The Tamil Nadu Polytechnic admission exam will be objective type. The paper will comprise of MCQ with four alternate choices where applicants have to pick the right answer. The question will be considered incorrect answer even when one answer is right, in case the applicants mark two answers for single question. The admit card for entrance exam can be downloaded from the official website i.e. www.tndte.com. Candidates can download the admit card by providing the hall ticket number or the application number. For the admit card, the candidates must click on the programme for which they have applied. The admit card will come up on the screen of your computer. Take a printout of the same and while appearing to the examination hall bring it along with you. The result of Tamilnadu Polytechnic admission will be made available online and the students can check their results by entering their roll number. On the basis of total marks obtained in the qualifying examination, candidates will be selected for the courses in the Polytechnic Colleges and Special Institutions. The ranking will be done in the order of total marks achieved by the applicants in the SSLC and Equivalent examination following communal reservation. Candidates must go through Class 10th syllabus thoroughly. The candidates will get questions based on Mathematics and Science of the class 10th level. The branch will be allotted, according to merit through counseling by the respective principal as per rules of communal reservation. Enclose Photocopy of the Certificates along with the Application form. Affix required value of stamps on each of the covers enclosed with the Application. The Register Number of the selected candidates will be published in the Notice Board of the Polytechnic concerned. Filled Application should reach the respective Institution before the due date.